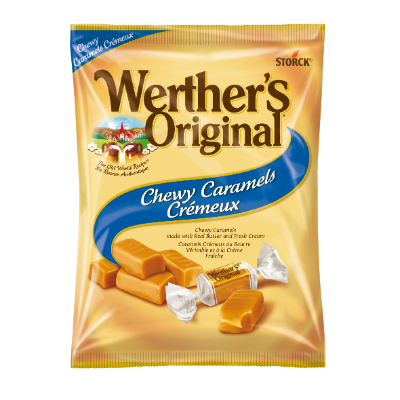 A long lasting chewy caramel with a toffee like texture. 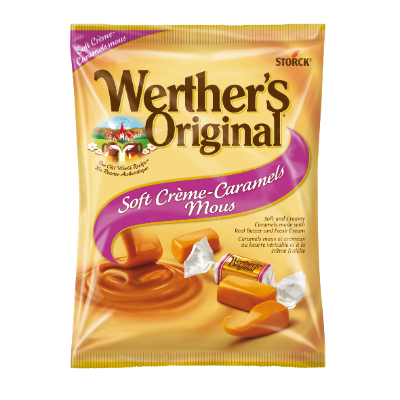 Delicious soft caramel with a chocolaty filling. 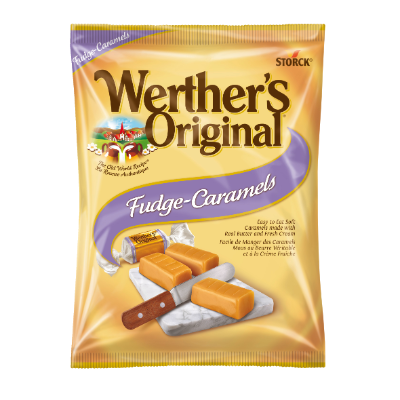 A soft caramel chew with a luxurious melt. 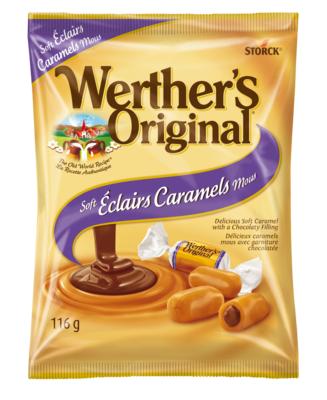 An easy to eat caramel with a crumbly texture. 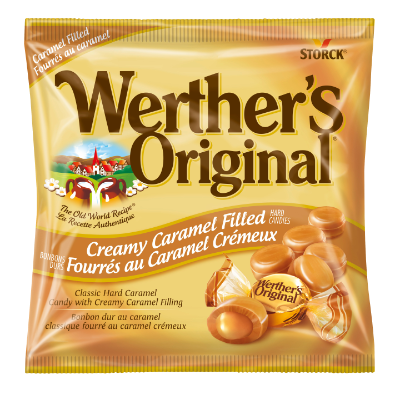 The classic candy with the rich taste of creamy caramel and no sugar added. 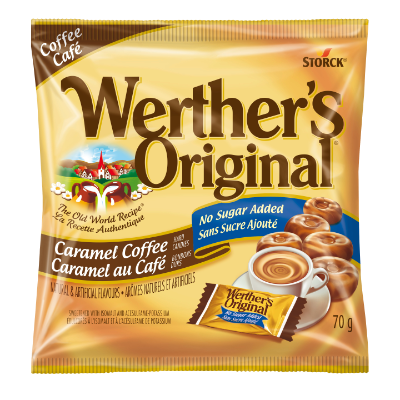 Creamy, smooth caramel candies swirled with rich coffee and no sugar added. 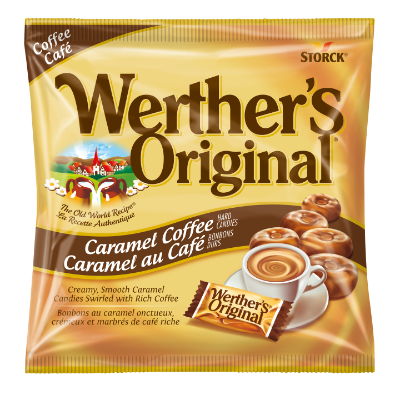 Creamy, smooth caramel candies swirled with rich cocoa flavour and no sugar added. 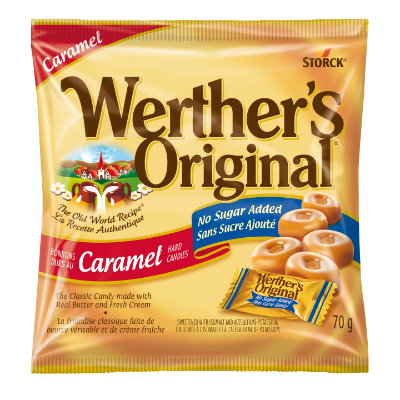 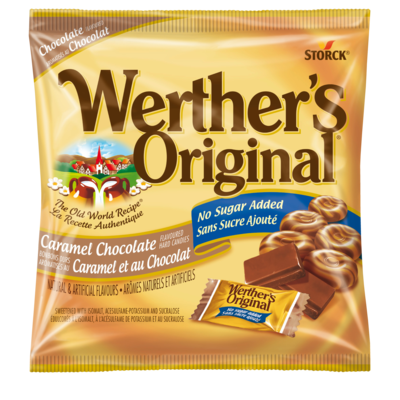 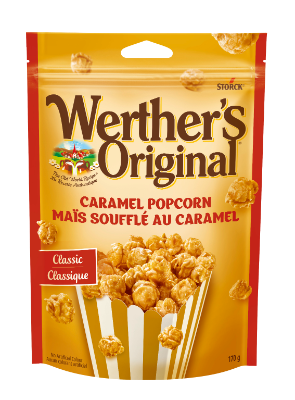 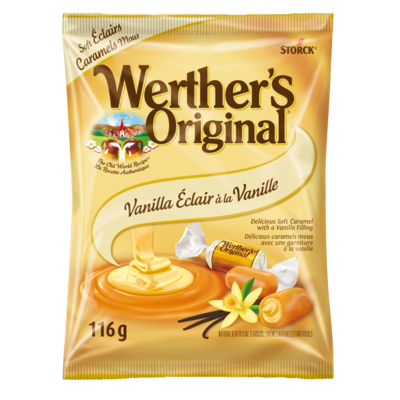 Our wide variety of delicious Werther’s Original caramel creations.